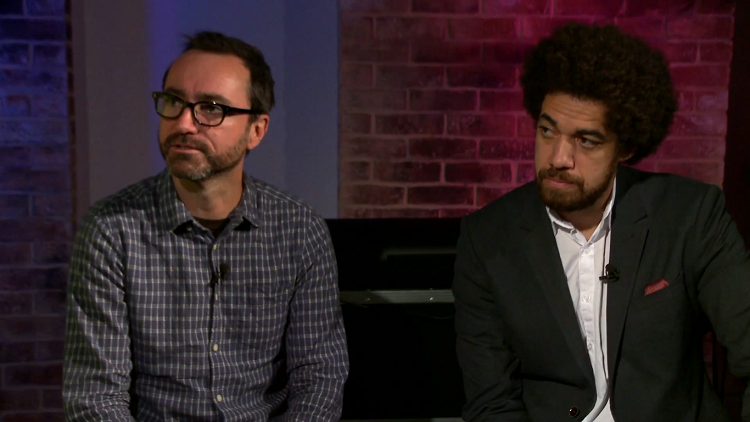 RFB TV has teamed up with our friends over at Transmitter TV for this very special interview with James Mercer and Danger Mouse of Broken Bells. Having recently announced news of their sophomore record After The Disco , the follow up to critically acclaimed debut Broken Bells, we sat down with the duo to turn back the clocks and discuss their formation and initial creative processes alongside their own ambitions and instincts as songwriters and producers. Speaking with 6music's Matt Everitt, the friends and collaborators offer insights into their own weird and wonderful world of Broken Bells. Watch Part 1 of our interview, below.